The Wyoming Frontier Prison has housed many inmates for murder, yet not everyone made it to death row or served out their full sentence. Alfred Hunter became a Wyoming State Penitentiary inmate in January of 1928 for the crime of second degree murder. Because of past childhood accidents such as being kicked in the head by a horse, and being bucked off as well, Alfred had many traumatizing head accidents. Doctors believed because of these accidents, it caused Alfred’s temper and anger issues to become more extreme, but they weren’t completely sure it was totally due to his accidents. On November 6th, 1927, Alfred lost his temper with Beatrice. He took his automatic pistol and shot her, she died almost instantly. Growing up, Alfred had a mild life. He lived in Laramie with his mother, who remarried Mr. Alva Howell, after his Canadian father, Mr. Oliver E. Hunter, had died. When he became an adult, he became a “pipefitter,” the best he could do with only a 4th grade education. He was a Catholic, and practiced his religion when he could. Eventually, the 5’9”, chestnut color hair, grey eyes man found the woman he wanted to marry. Her name was Beatrice Bowen. After marrying, they lived with each other for almost a year, but it soon came to an abrupt end. On November 6th, 1927, Alfred lost his temper with Beatrice. He took his automatic pistol and shot her, she died almost instantly. He then decided to take his own life. He failed when he fired the pistol through the right side of his head, in front of his temple. The bullet exited directly in front of the left temple. Alfred laid unconscious for days in the Ivinson Memorial Hospital in Laramie. After his surgery had been successful, he appeared in court on December 31st. His sentence was a minimum of 25 years and a maximum of 50 in the Wyoming State Penitentiary. 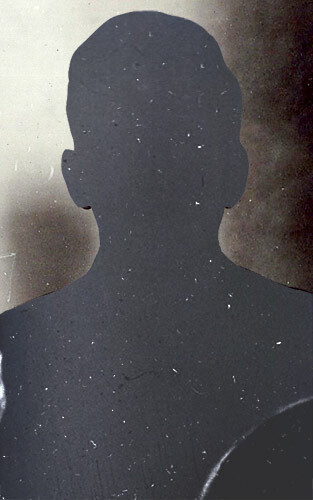 He came to the Wyoming State Penitentiary on January 5th, 1928. His inmate number for identification was #3962. For special identification they recorded his scar from the bullet on his right temple, and a scar on his hair line from the horse that kicked him when he was younger. The now 22 year old man would have a long prison sentence ahead of him. After only 10 years in the Wyoming State Penitentiary, Alfred was stricken with spinal meningitis, dying at 6 A.M. on February 27th, 1928. He was only 32 years old, leaving behind his mother, step-father, and his 3 children.